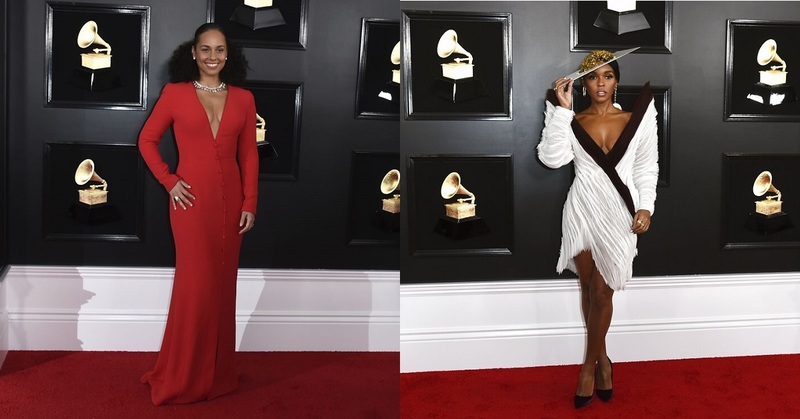 Here are the photos of some of the artist who attended this year’s Grammy Awards. There’s something about this year’s Grammy Awards that compelled music artists to show up in statement hats. We just can’t quite figure out what. Nevertheless, stars like Janelle Monae, Jennifer Lopez, Leon Bridges, Alicia Keys, and Billy Ray Cyrus looked stunning in them. Jennifer Lopez, ALicia Keys, and Janelle Monae stuns with their statement hats. 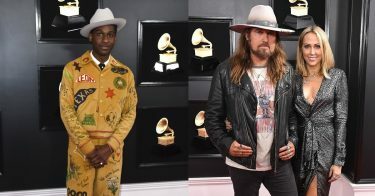 Leon Bridges and Billy Ray Cyrus looks dashing in their hats. Romantic and dramatic tulles are still going strong this year. Kacey Musgraves and Ella Mai rocked them at this year’s edition of the prestigious awards show. 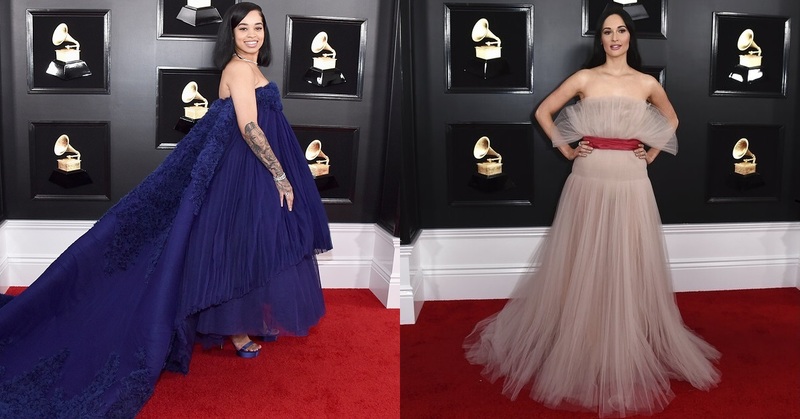 Ella Mai and Kacey Musgraves opts for romantic silhouettes for their red carpet appearance. If looks could blind, many of the musicians in attendance would have annihilated millions. Camila Cabello, Lady Gaga, Katy Perry, H.E.R., J. Lo, and Post Malone opted for sparkly and studded numbers at the red carpet. Camila Cabello, Lady Gaga, and H.E.R. arrives in sequined dresses. Jennifer Lopez, Post Malone, and Katy Perry gets playful with studs and sparkle. It’s been forecasted that suiting will be a massive trend this year and the fashion gods were right. A number of music’s biggest names arrived at the show in suits and tailored dresses such as Janelle Monae, Alicia Keys, Miley Cyrus, Cardi B, BTS, and Shawn Mendes. Alicia Keys and Janelle Monae shows us how to power dress in these outfits. Shawn Mendes, Cardi B, and Miley Cyrus slays in their perfectly-tailored outfits. 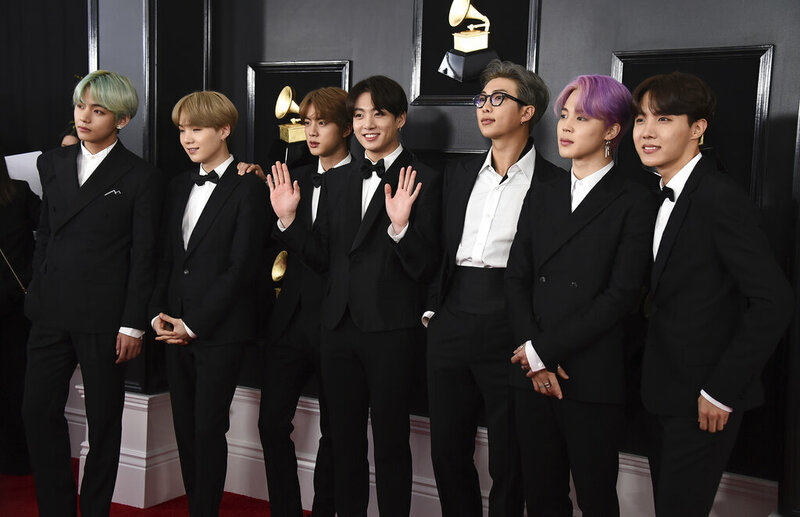 BTS chooses simple over flashy for their history-making Grammy Awards appearance. Which is your favorite Grammys 2019 outfit?